Sazoneros! Since it's Art Basel week, I thought I'd share a fun beauty post with you as you prepare all of your outfit and make-up looks for this week's itinerary. 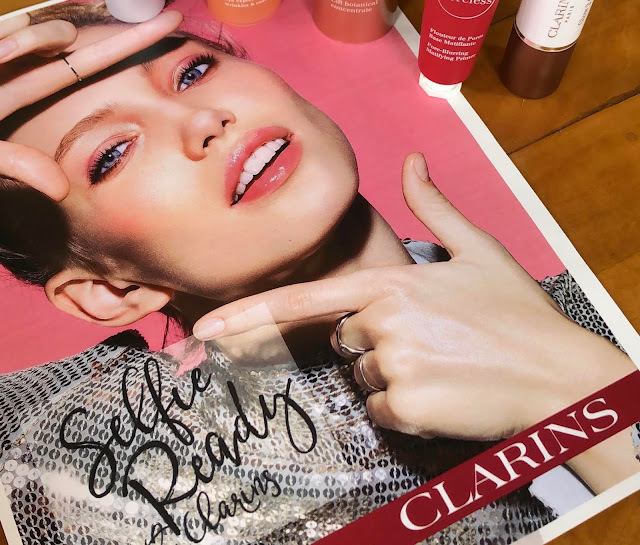 Last week, I attended an intimate blogger brunch at Freehand Miami to preview Clarins new “Selfie Ready” make-up collection. Clarins is definitely on my radar now that I've had the chance to try their newest products. My favorite one was the 2-in-1 blush and highlighter stick called “Glow 2 Go.” For my ladies that are all about the anti-aging and firming, you'll be happy to know that Clarins now offers a new power lift duo, the Extra-Firming Collection.